Thu., Dec. 1, 2016, 5:30 p.m.
President Barack Obama created the Deferred Action for Childhood Arrivals program by executive order in 2012. It grants work authorization and academic opportunities to undocumented immigrants who were brought to the United States as children and have little connection to their countries of origin. To qualify for the program, immigrants must have arrived in the United States as children, be in high school or have a diploma, or be a U.S. military veteran. They can’t have been convicted of a felony or major misdemeanor. Hundreds of college presidents, including more than a dozen in Washington and Idaho, are publicly urging President-elect Donald Trump not to eliminate a federal program that protects nearly 750,000 undocumented immigrants. Trump has vowed to eliminate that program and other “illegal executive amnesties,” a stance his transition team reiterated to the Washington Post last month. Now a growing number of college and university leaders are voicing support for the DACA program in open letters being circulated online. As of Thursday afternoon, 441 college and university leaders had signed the letter, which was organized by Pomona College President David Oxtoby. 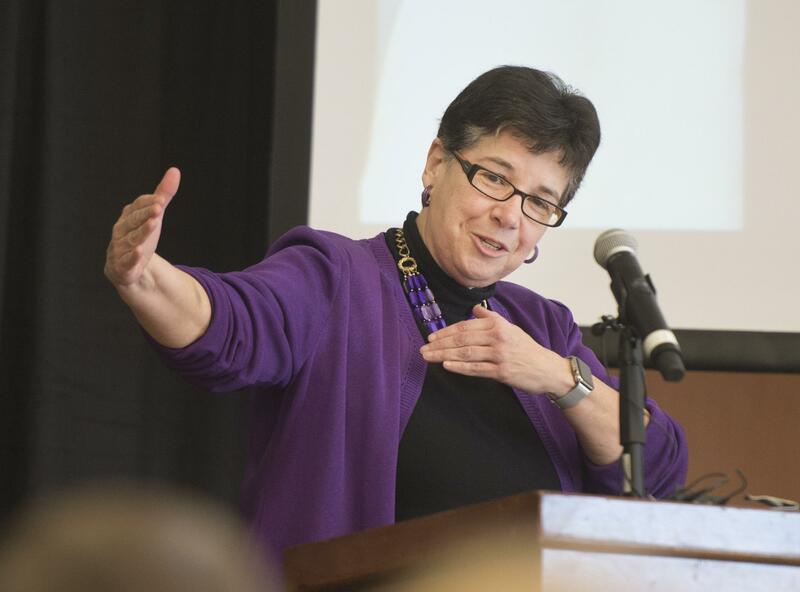 Signers from Washington include WSU President Kirk Schulz and UW President Ana Mari Cauce, who immigrated to the United States from Cuba when she was 3. A spokeswoman for Whitworth University said administrators will give “strong consideration” to adding a signature. Eastern Washington University hasn’t signed the letter but recently issued statements of support for its undocumented students. The University of Idaho and Boise State University are members of the Association of Public and Land-grant Universities, which published yet another letter signed by APLU President Peter McPherson. Critics call DACA an example of executive overreach, suggesting the program automatically provides amnesty or a pathway to citizenship, although it does neither. Only Congress can change the requirements for citizenship. Some critics also suggest the program allows dangerous criminals to remain in the United States. But the program is selective. Among other requirements, Dreamers must have arrived in the country as children, be in high school or have a diploma, or be a U.S. military veteran. They can’t have been convicted of a felony or major misdemeanor. Many undocumented students fear the DACA database – which contains personal information they willingly provided during the application process – will make them easy targets for deportation under Trump’s administration. Some have called that a form of entrapment. “Those who applied for DACA status came forward and in good faith provided their information to the U.S. government based on a promise that they would be protected,” wrote McPherson, the APLU president. A handful of cities and colleges have declared themselves “sanctuaries” in the weeks since the election, pledging not to cooperate with federal immigration authorities. Schools including WSU and EWU say they won’t give student information to federal authorities unless required by law or subpoena, and that their campus police departments never ask about a person’s immigration status. Published: Dec. 1, 2016, 5:30 p.m.